Loads of shortcuts to memorize! Keyboard shortcuts are kind of addictive: once you start using them, you never want to go back to the mouse. It's a much faster and more effective way to use your computer. If you're already hooked to keyboard shortcuts as much as I am, you're going to love this little app. 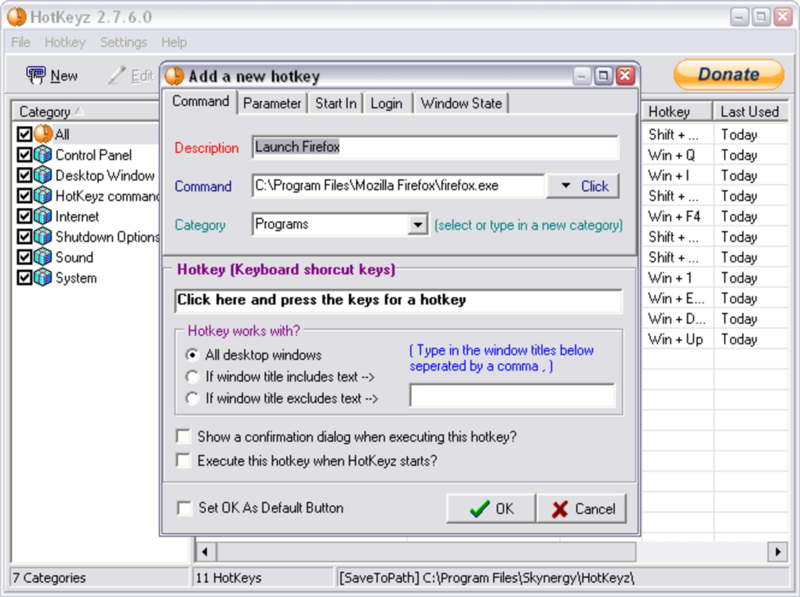 As you can tell from its name, Hotkeyz is a collection of keyboard shortcuts with which you can perform all sorts of tasks, from opening a file or launching a program to system options such as controlling volume or shutting down the computer. Of course, you need to have Hotkeyz permanently running in the background in order to have access to all those hotkeys, but don't worry: the program hardly uses any system resources. Hotkeyz features a simple interface design divided into two main areas, one for the list of categories and another one for the actual list of keyboard shortcuts included in each of those categories. Needless to say, you can add as many new categories and new shortcuts as you need, with a few configuration options for each. The only problem will then being able to learn them all by heart! 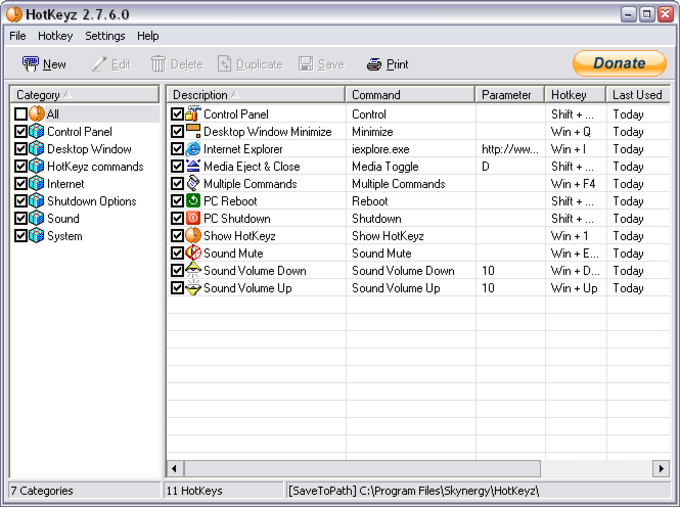 Hotkeyz lets you control many aspects of your system and perform a wide variety of tasks just by using your keyboard.